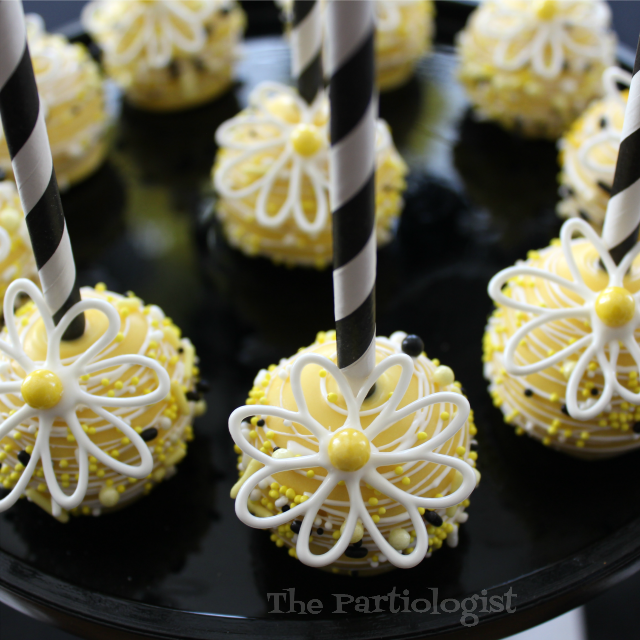 The Partiologist: Daisy Themed Birthday! 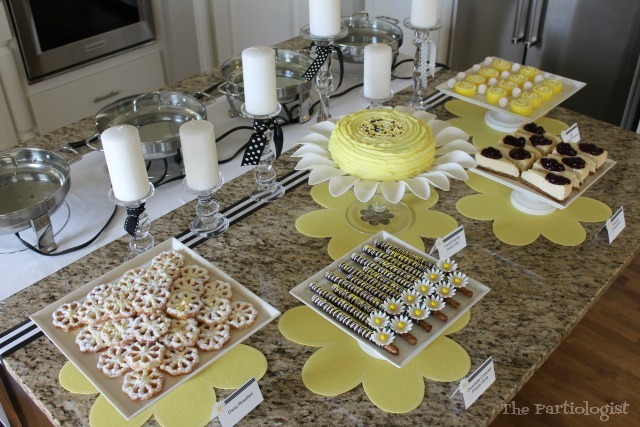 A year ago I was busy and I do mean busy, planning a Daisy Themed Sweet Sixteen Birthday party for my niece. It was such a great party and so much fun, I thought you might like to take a look in case you missed it the first time around. 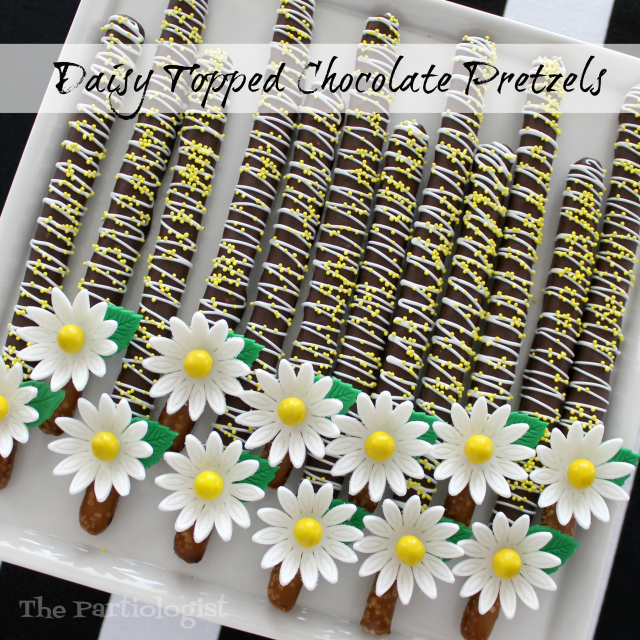 The Daisy Rice Krispie Treat was a hit for sure, see how I made it HERE. 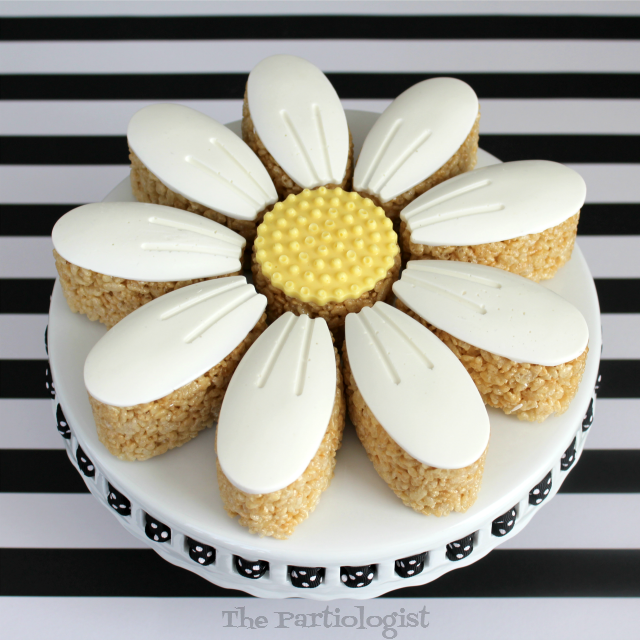 So many fun Daisy themed sweets, I think I turned everything into a Daisy! Take a look at the party HERE and HERE. 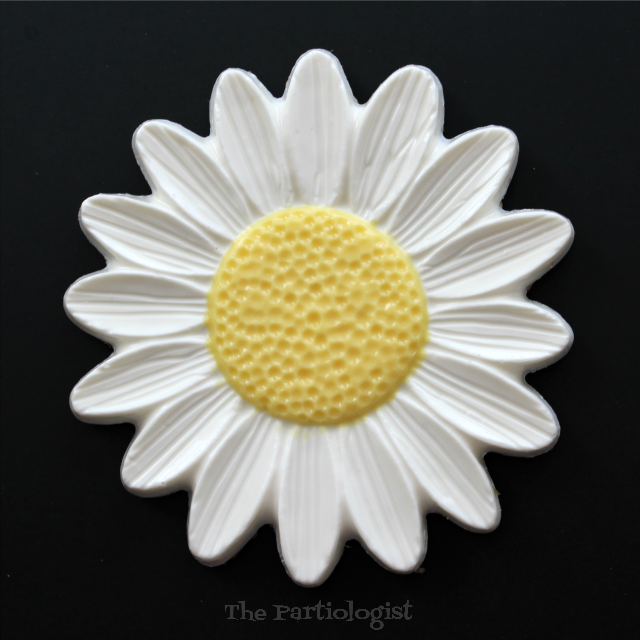 Or just sit back and let me show you a few favorites, starting with the Daisy Cake. 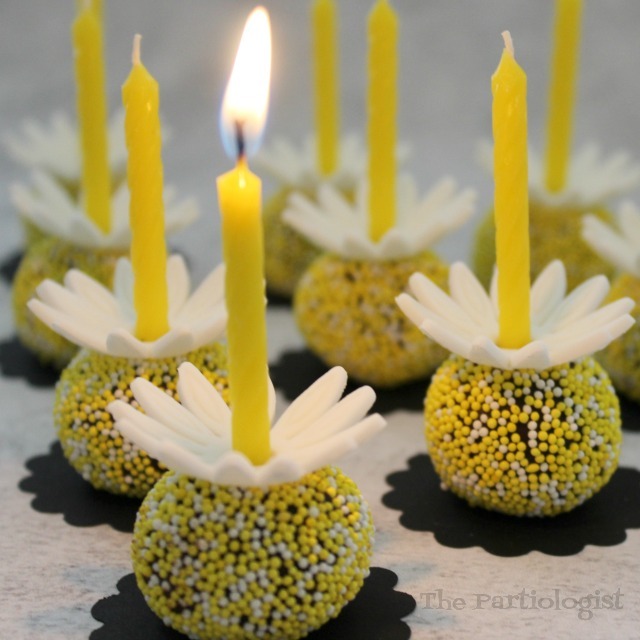 Next, were the candle chocolate truffles. 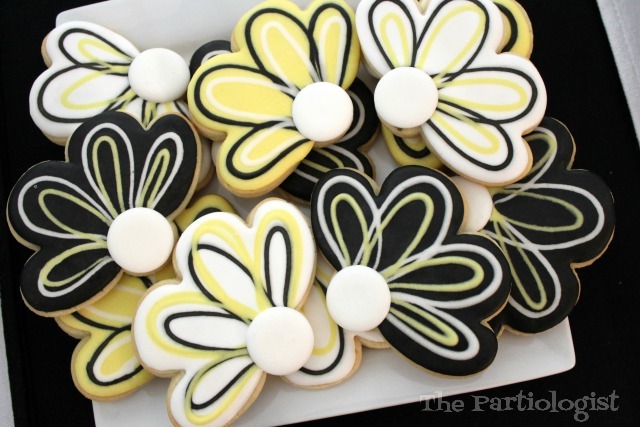 Another favorite were the Daisy Oreo's. 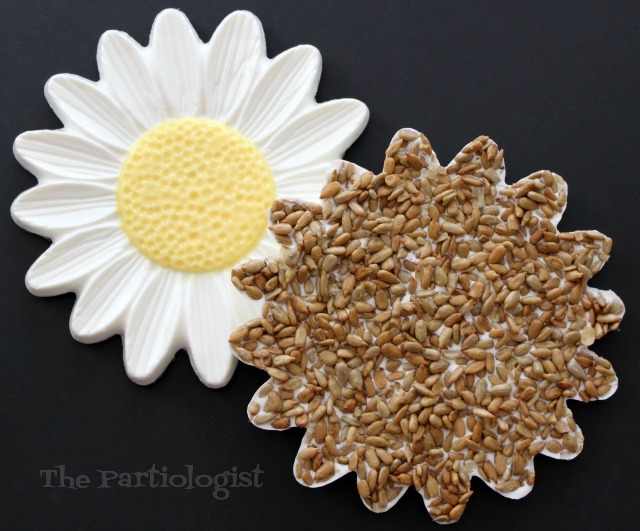 Or the sunflower seed coated white chocolate daisy. 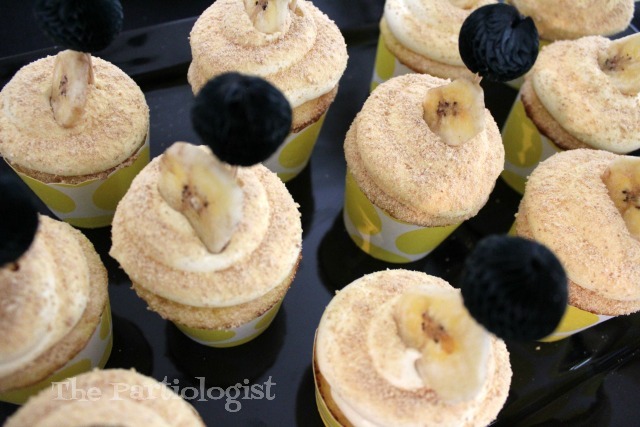 One of the birthday girl's favorite...Banana Cream Cupcakes. This was just part of the desserts. 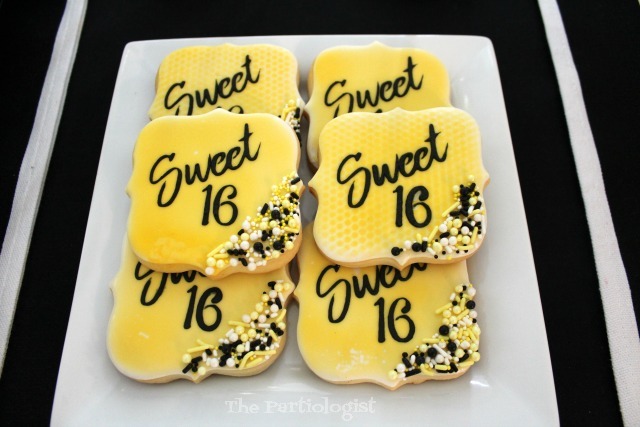 Fun and festive Sweet 16 cookies. 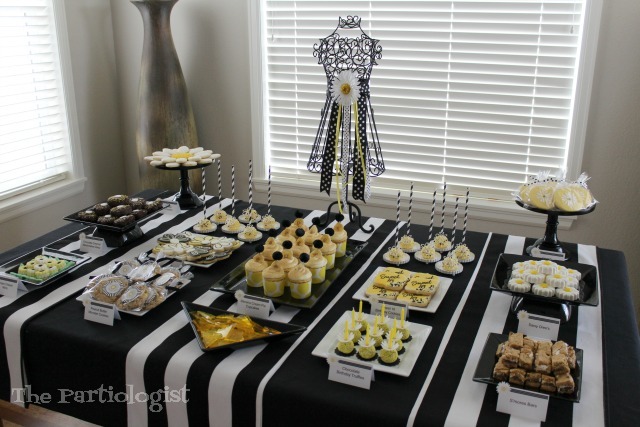 And the center dessert table. 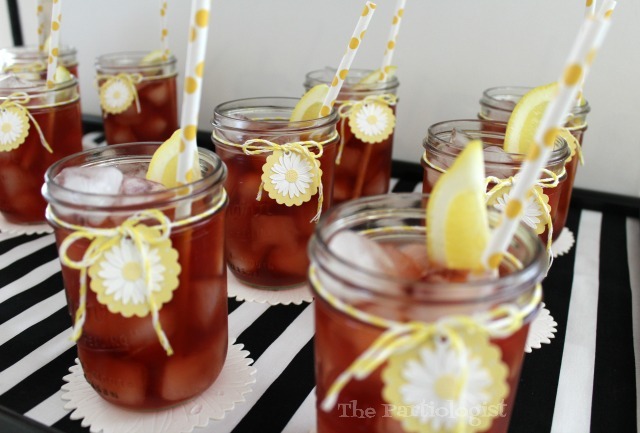 Loved the way the lemon zinger iced tea looked! 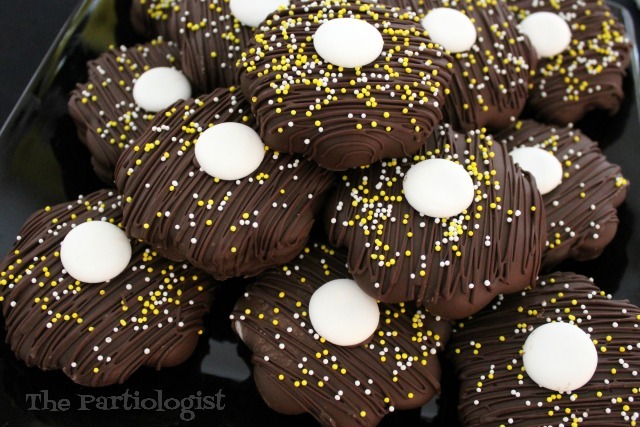 We really loved the cake pops too! 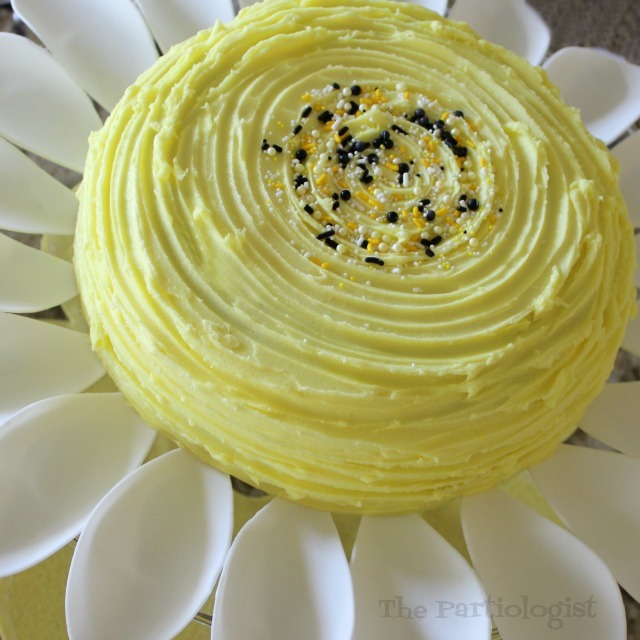 It's the perfect celebration for any occasion! 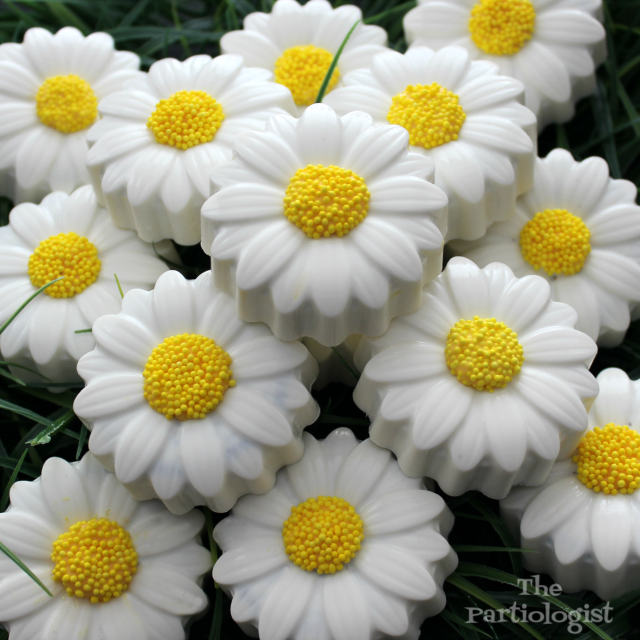 Please don't DO Eat the Daisies! Thank You for sharing! Great idea for a girls weekend get together...So Fun! Thank you so much, I hope you do this for a girls weekend, it would be so much fun for sure! Thank you, it was sure fun to look back over the old photos! Such Sweet 16 perfection!! 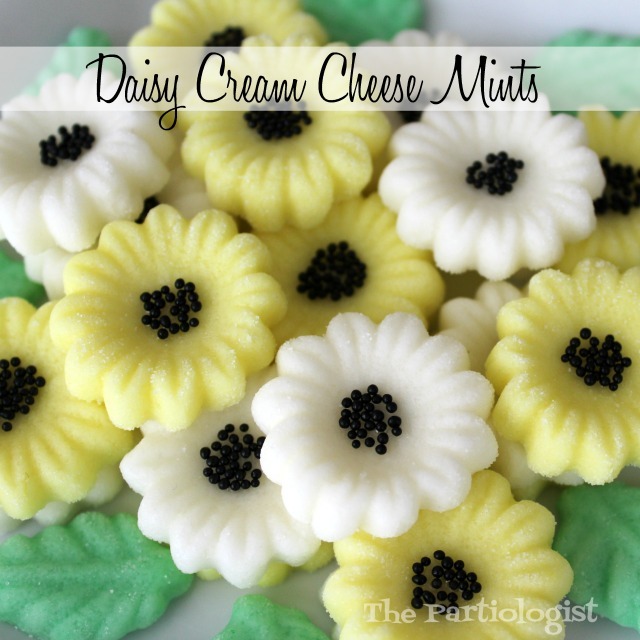 All of your daisy creations are simply adorable!